A person familiar with Warner Bros.' plans for its DC Comics films said Wednesday there are no current prospects for another "Superman" film starring Henry Cavill. Warner Bros. issued a statement Wednesday saying it hasn't decided on Cavill's return. Warner Bros. is in the midst of remaking its DC Comics strategy following the fan and critical backlash to "Justice League" and "Batman v. Superman." 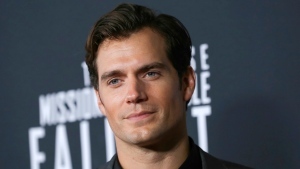 Cavill first played Superman in 2013's "Man of Steel." Representatives for Cavill didn't return messages Wednesday. Warner Bros.' focus now is "Supergirl." Other films on the horizon are the upcoming "Shazam!" 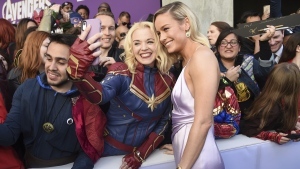 with Zachary Levi, "Wonder Woman 1984," due out in November 2019, and Ezra Miller in a stand-alone movie for the Flash. "Aquaman," with Jason Momoa, opens this December. A stand-alone "Batman" film was also once to star and be directed by Ben Affleck. Now, Matt Reeves is directing and is expected to recast the role.